You should know how to fix your car before you start a job. Otherwise, you will waste your time by opening up some other parts that are not related with the problem or going to a parts store to buy extra parts and tools. Preparing for everything lets you save your time and fix your car easily. 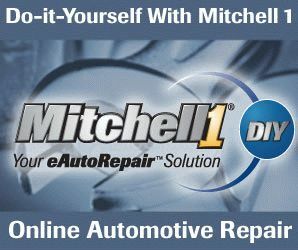 Let’s see more details how to do it yourself auto repair. There are auto repair manuals because you can look up not only when you get lost in the middle of the job, but also before you start the job. You can get the outline of each job, tools you need for a repair, or you can tell how long it normally takes to finish a job so you choose the best time to do it without a rush. Repair manuals tell you whether you need to use a jack and crawl under the car. This helps you decide where to repair your car. You do not want to do this kind of jobs on a dirty ground. Even if the ground is clean but dangerous to use a jack for some reasons such as it is not level, or there is no room to place a jack when you work in your tiny garage, you will have to change the work place. Imagine all procedures of the job you are going to do and you can pick the best place and position for the job. As for tools, you should own a basic mechanic tool set for any kinds of job. Buying a set is much cheaper than buying items one by one. You should own a basic size range of sockets and wrenches, 1/4, 3/8, and 1/2 ratchets and extensions, pliers and screwdrivers, and so on. You will buy the other tools individually when you need them. To do auto repair, you need not only tools ,but also some equipment sometimes. If a job is a water pump replacement or a radiator change, you do not forget about a container to catch anti-freeze: however, there are many repairs that require to disconnect coolant hoses and drain anti-freeze. Whether you work on a street or in your home garage, you should not mess up the ground. As you see, looking up information in auto repair manuals in advance have many benefits. You can save your time, perform a job smoothly without hassles, and keep your work place clean so that you will contribute to protect the environment. This entry was posted in Auto Repair, Maintenance, Repair Manual and tagged General Topics on April 18, 2013 by admin. I’m looking for a job at a auto repair shop and was wondering how much hourly pay would a shop such as pep boys or firestone start off as? What does Wrench Light on Honda vehicles mean? What does Wrench Light on Ford vehicles mean?